We are getting a lot of inquiries about pork. Yes, we know, we were supposed to send out a newsletter with pork ordering information weeks ago. And, no, we haven’t forgotten. It’s just been a zoo around here. We will send out a newsletter soon. 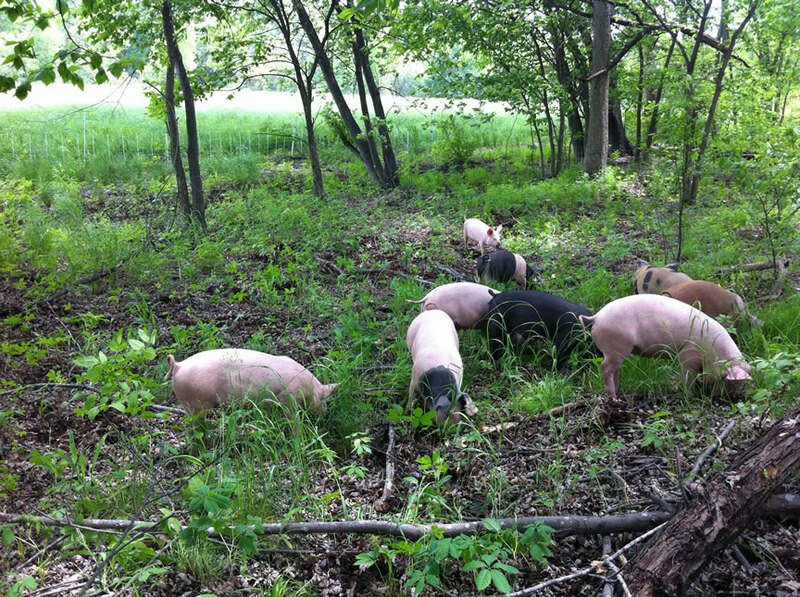 In the meantime, here is a photo of the pigs foraging in the woods at the edge of the lower pasture. why is it the only bacon in the US is ‘streaky’? What becomes of the ‘back rashers’ as we’d call them in IRL?